Earlier I found myself questioning whether or not I wore my hair "out" too much. It seems like such a silly thing to ponder, but in the world of natural hair people are constantly talking about low manipulation protective styling. To me, just the term "protective styling" depletes my life force. Damn... Can I live? 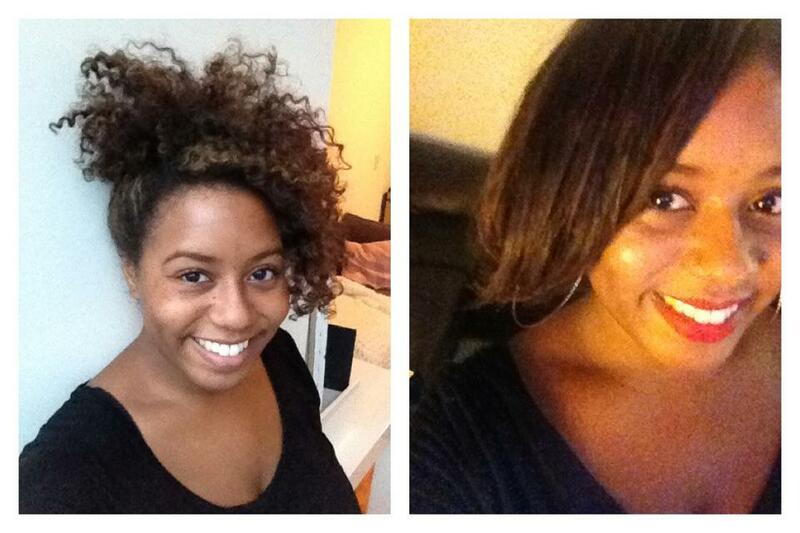 Curly or Straight, I like my hair OUT!! I like rocking my hair big, bold and everywhere... every day. However, it caused me to question whether my flare for big hair was causing me to sacrifice length retention. Honestly, I'm not that into wrapping my hair at night or doing deep treatments. I like to live carefree during the day and just crash when it's time to sleep. I don't mind re-twisting on a daily basis and if you ask me, hair will grow regardless of what I do... so really, if I'm not length obsessed it shouldn't be a big deal. One of my favorite bloggers/vloggers Lipstick Love Affiair, recently posted a new video discussing her current hair routine and I was in love with the growth and retention she's experienced. It caused me to question whether I should overhaul my hair life and put an actual routine into place. Now, I'm not trying to build Rome in a day, but I think committing to wrapping my hair and keeping my ends covered at night, and potentially scaling back the amount of times I wear my hair out during the week could be a great starting point. My company's corporate office is located in a different state, so my office in Chicago is very small. Like 5 people including me small. Yes, my appearance is what I'm showing the world, but I doubt the 4 people I work with really care too much. So, I've theorized that I could adopt the same routine as Lipstick Love Affair and wear my hair covered up Mon-Wed, reserving Thurs-Sunday for rocking my curls. Plus, it's the weekend and I'll be able to do it up for Cuffing Season excursions with the boo. Or am I putting too much thought into this? lol... I can honestly think of at least 5 other things I should be devoting time to OTHER than my hair, but you know... whatever. Am I the only one going through this? 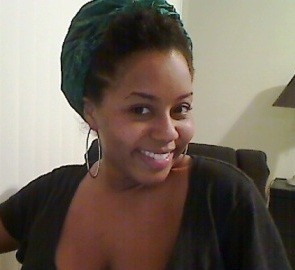 lol... My other option for giving my hair a break from daily styling is to grab a weave or twists. That could probably appease me for a month or two.